Jerry McMahan-Bakersville, NC. Jerry McMahan passed away peacefully in his sleep at his home, the family homeplace in the Clarrissa Community on September 7, 2018. Jerry was a beloved son, husband, father, uncle, and, paw-paw. He was a brother to many in the community. Strong in his faith, his life was a living testimony for his many friends and family. Jerry was born October 19, 1955 to the late Paul McMahan and Josie McKinney McMahan in the Young Cove. Jerry attended Gouge Elementary and graduated from Bowman High School in 1974. He played football for Bowman and remained an avid fan of Mitchell High School football teams through the years. He was a lifelong member of Roan Mountain Church and loved and valued his church family. Jerry’s working career began in high school as a bus driver for Bowman and he worked second shift at American Thread during his senior year. After school, he worked several years with his father trucking produce out of Florida, Georgia, and South Carolina back to the Columbia Asheville farmers’ markets. They later began splitting and selling locust posts before establishing McMahan Logging, initially working with Will and Ed Buchanan using horses to pull lumber. At the time of his death, he and his son Justin continued to operate as McMahan Logging. Jerry also spent years as a long distance truck driver. He drove for Charles Morris, Dennis Burleson, Dwight Thomas, and Joe Grindstaff. 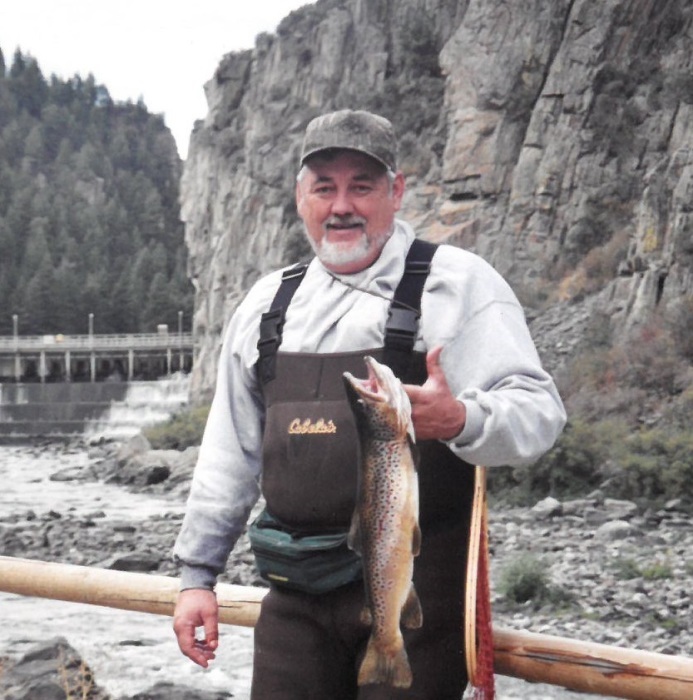 Jerry enjoyed car racing, hunting, and fishing, especially the fishing trips he made to Ennis, Montana with his good friends Scotty Gouge, Ricky Ayres, Lloyd Hise, and Doug Young. Jerry was preceded in death by his cousins Maurice Ayres, Keith Whitaker, and Ashley Pyrtle; also by his friends Kenneth Pitman, Ron Speagle, and Joey Dunn. Jerry is survived by his wife, Karen McMahan; children, Justin McMahan and wife Caitlin; Lisa Riddle and husband Cleve; Kenny Geouge and wife Ava; grandchildren, Isaiah, Peyton, and Andy; sister, Paulette McMahan and husband John Lara; nieces, Ashley Smith-Stowe and Josie Davis; grand-nephews Stowe and Rowan. Services for Jerry are at Roan Mountain Church on Cane Creek Road with visitation at 1pm and service at 3pm Sunday, September 9, 2018. Interment will follow in the McMahan Family Cemetery.